The University of Michigan-Ann Arbor has once again earned a top ranking of Peace Corps’ Top Volunteer-Producing Colleges and Universities. This year, the University of Michigan-Ann Arbor ranks fourth among large colleges and universities nationwide. 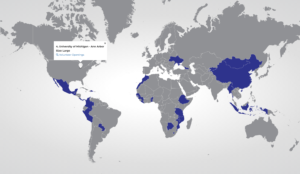 Since 1961, the University of Michigan-Ann Arbor has sent 2,734 graduates to serve in the Peace Corps. In addition, the University of Michigan ranks second among graduate schools. Today, 63 of U-M’s talented undergraduate alumni and 18 U-M graduate alumni are making a difference in the lives of others and becoming global leaders by serving as Peace Corps Volunteers. They are applying the skills and knowledge they acquired during their time at the University of Michigan-Ann Arbor to bring about sustainable change in communities across the globe. 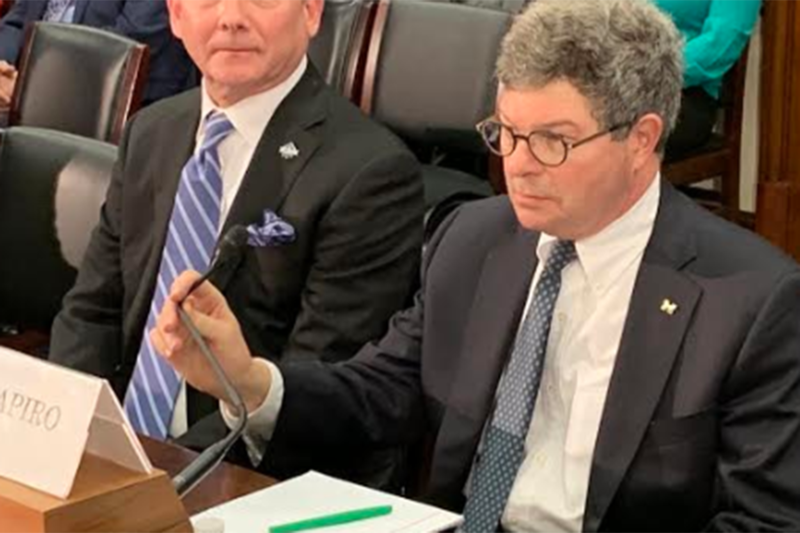 Matthew Shapiro, the Lawrence R. Klein Collegiate Professor of Economics at U-M, before the U.S. House Committee on Small Business about the potential impact the recent partial government shutdown had on small businesses. Read more about his testimony here. Tom Lyon, professor of business economics and public policy and of environment and sustainability testified before the U.S. House Committee on Transportation and Infrastructure about ways he believes infrastructure improvement, as well as the free market, can help lessen the impacts of climate change. Read more about his testimony here. 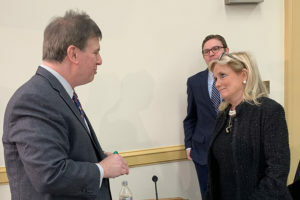 J. Alex Halderman, professor of electrical engineering and computer science, testified before the House Appropriations Committee Subcommittee on Financial Service and General Government, urging lawmakers to approve additional funding for election cybersecurity prior to the upcoming 2020 elections. Read more about his testimony here. 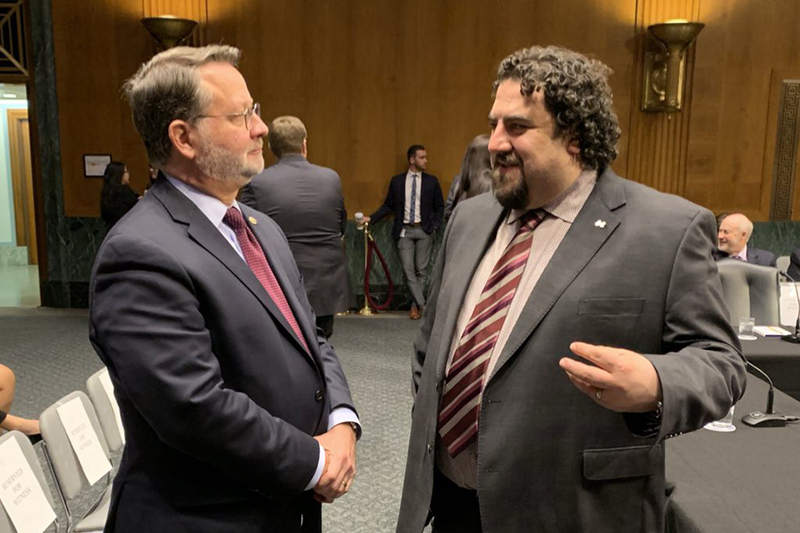 Justin Kasper, an associate professor of climate and space sciences and engineering, testified before the Senate Committee on Homeland Security and Governmental Affairs in March about how best to protect the country’s power grid from space weather. Read more about his testimony here. Adam Finkel, clinical professor of environmental heal sciences, testified before the House Energy and Commerce Committee Subcommittee on the Environment and Climate Change, addressing the need for the Environmental Protection Agency to better protect workers from harmful chemicals and work closer with the Occupational Health and Safety Administration. Read his testimony here. 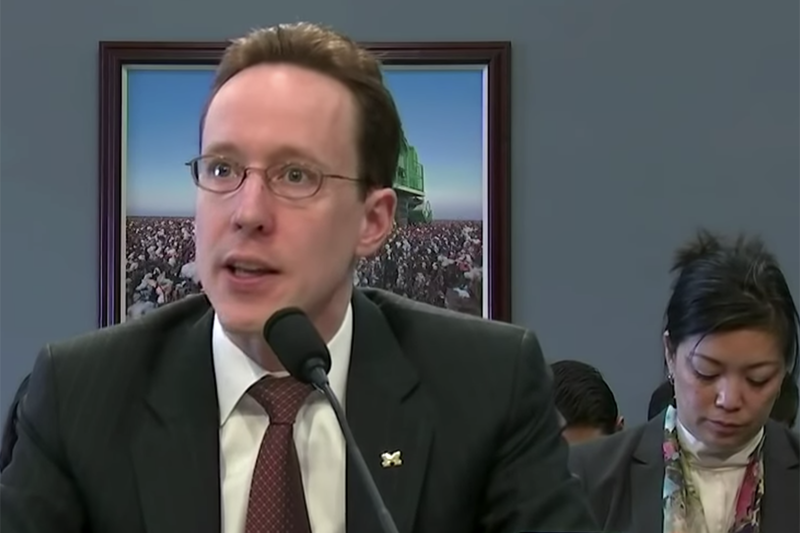 Jeremy Kress, assistant professor of business law, testified before the U.S. Senate Committee on Banking, Housing, and Urban Affairs about proposals to de-emphasize or eliminate the designation for “systemically important non-bank financial institutions,” such as insurance and mortgage companies. He warned that such a move would be misguided and could open up the financial system to the kinds of problems that roiled the economy in 2008. Read more about his testimony here. A solar flare in 1859 engulfed Earth in a “magnetic tsunami”—spinning compasses, making the northern lights visible in the Caribbean and drawing sparks from telegraph lines that would remain inoperative for days. 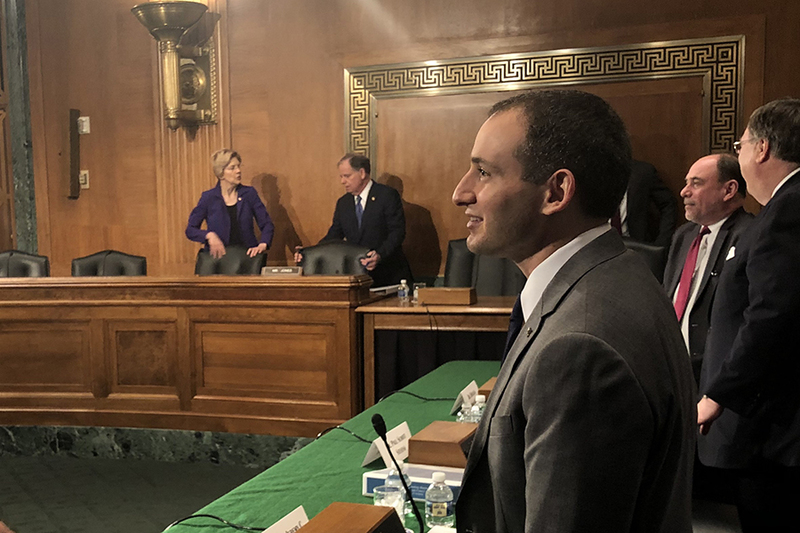 Today’s power and technology-reliant society could fare worse should a similar solar event occur, Michigan Engineering researcher Justin Kasper told U.S. senators today. 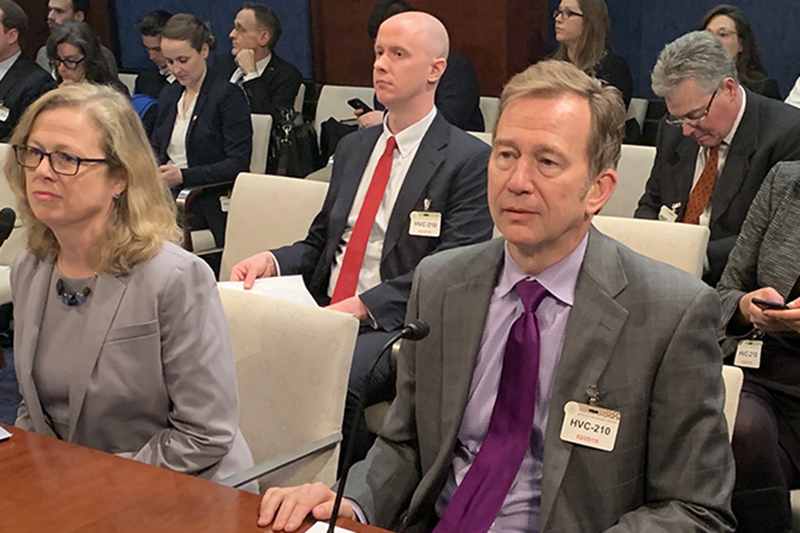 Kasper, an associate professor of climate and space sciences and engineering, testified before the Senate Committee on Homeland Security and Governmental Affairs and discussed how best to protect the power grid from space weather. 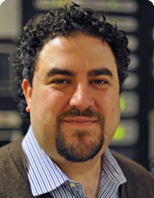 Category: All News and Events, Federal News and EventsComments Off on Professor Justin Kasper addresses Senate committee on solar threat to power grid.